Swatting is pretty much the shittiest prank a person can pull, if you can even call an action that might lead to someone’s death a “prank.” Somebody calls the police and accuses somebody else—often someone who’s livestreaming—of an in-progress crime so heinous that a SWAT team shows up at their door, with unpredictable consequences. Late last year, a 28-year-old was killed as the result of one. As police continue to struggle with the issue, the Seattle police department has taken a proactive measure. As spotted by Ars Technica, the Seattle PD now has an official swatting resource site that encourages streamers, or anyone else who feels like they might be in danger of getting swatted, to create a profile with a data management service and flag yourself as having “swatting concerns.” Once you’ve done that, police should handle any calls about you that come their way with extra care. The site also includes videos of what police say is raw footage from a swatting incident and an anti-swatting PSA. This is not the first time the Seattle PD has engaged with Twitch and streaming culture. 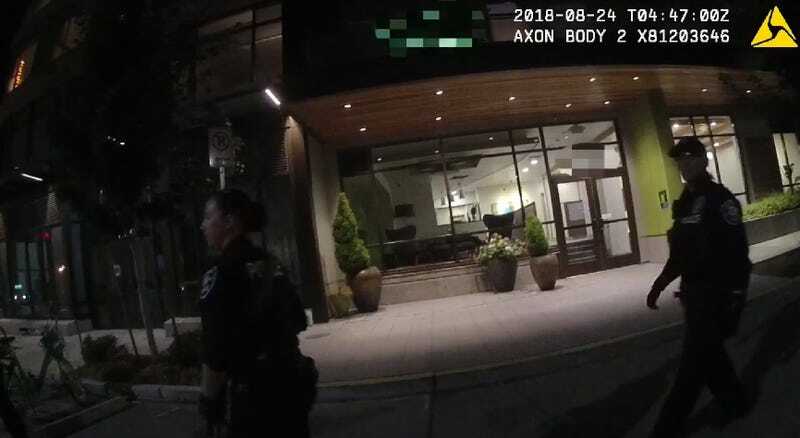 Last year, officers experimented with running an official Seattle PD Twitch channel, on which they regularly played games while talking about their process. The whole thing fell apart after they used the channel to give an update on a very sensitive case in which officers shot and killed a pregnant black woman with a history of mental illness, all while playing Destiny. After facing heavy criticism, the Seattle PD elected to discontinue use of its Twitch channel. Here’s hoping this anti-swatting initiative works out better for all involved.